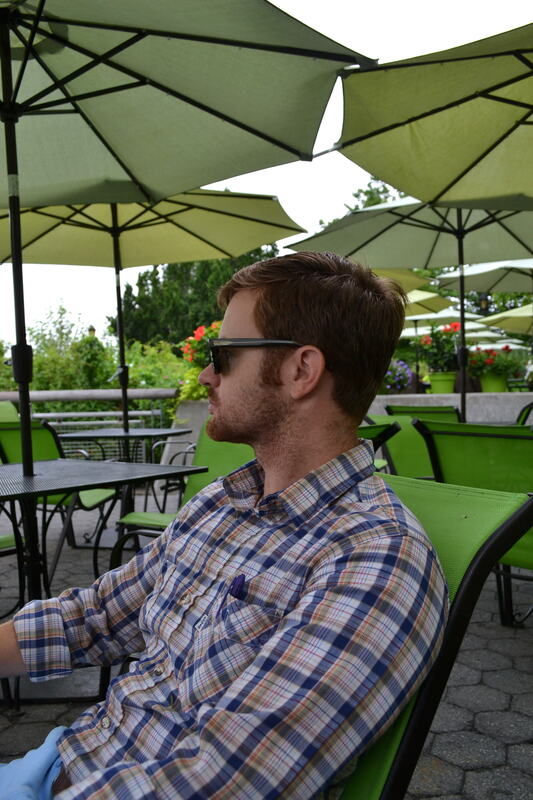 Jeff and I have some favorite ‘spots’ in the city where we like to go and relax. Shhhh, these are top secret so don’t share them with everyone ;p.
One of the spots is at Lincoln Center. We live around the corner from LC, so we mosey over fairly often. It’s a really neat area. During the summer, they project free operas on a large HD screen for all to see. 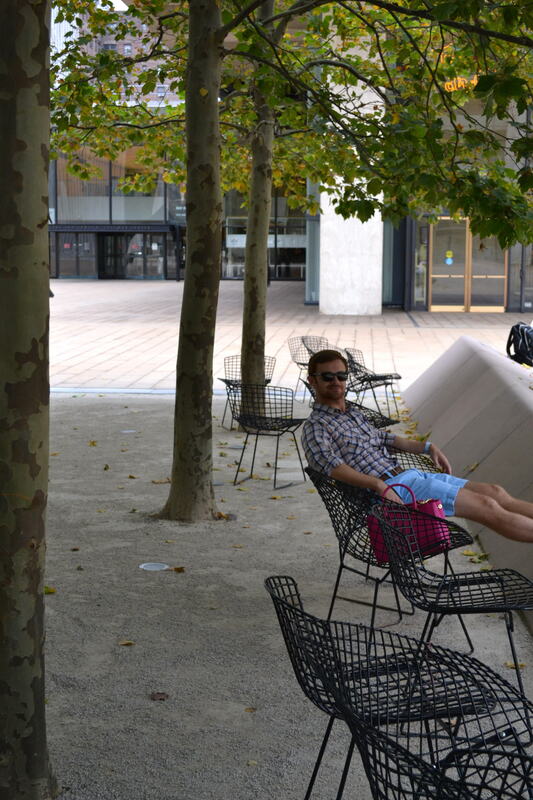 The chairs at Hearst Plaza are my all time favorite chairs in the world. They’re not particularly great (in fact they hurt my back), but they certainly say ‘relax here by the water … chill out for a second … ‘ which can be rare in the city. When your day-to-day hassles can start as soon as you step out the front door, you need to find some sweet spots that motivate you to chill and stop thinking for a bit. This is mine. If we ever move, I will be stealing one of these chairs. 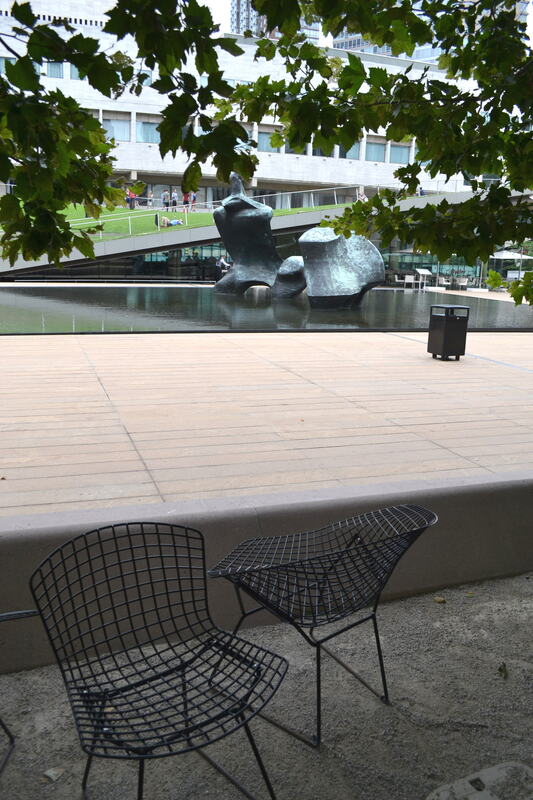 You may have yoga, I have Lincoln Center chairs. They’re my zen. Another spot is at Riverside Park South. 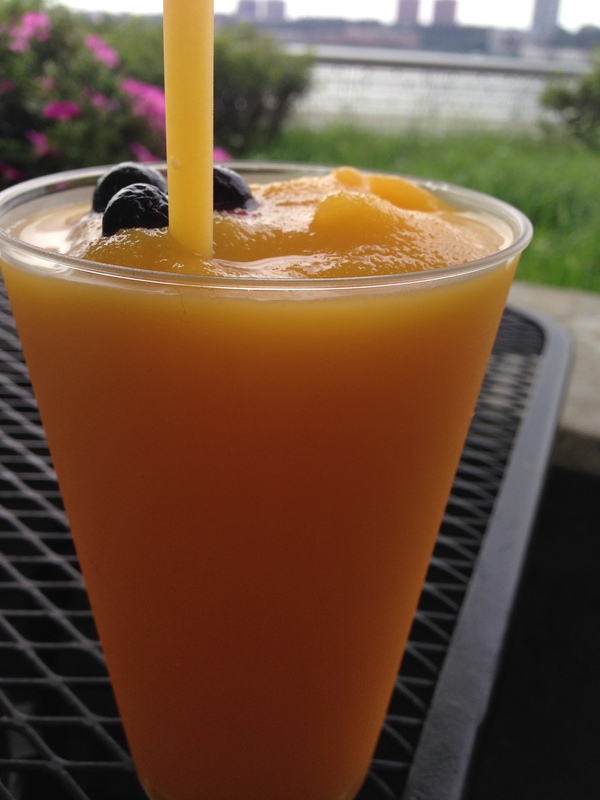 Every summer since 2012, I’ve gotten an ‘adult smoothie’ from Pier i. It’s my summer tradition. Nothing beats sitting by the river, drinking a few beverages, and watching boats goes by. 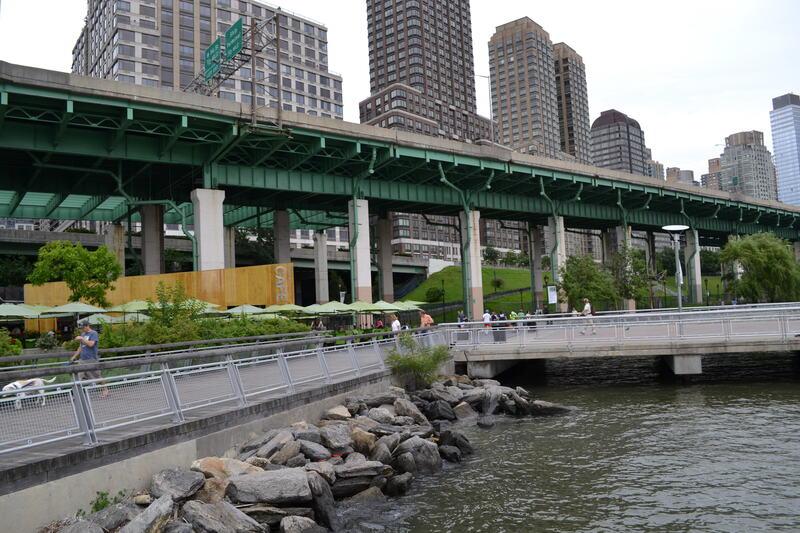 Add a sun shade or umbrella and it’s ‘just right.’ You can walk all of the Hudson Greenway, along the west side of Manhattan, for a good workout. 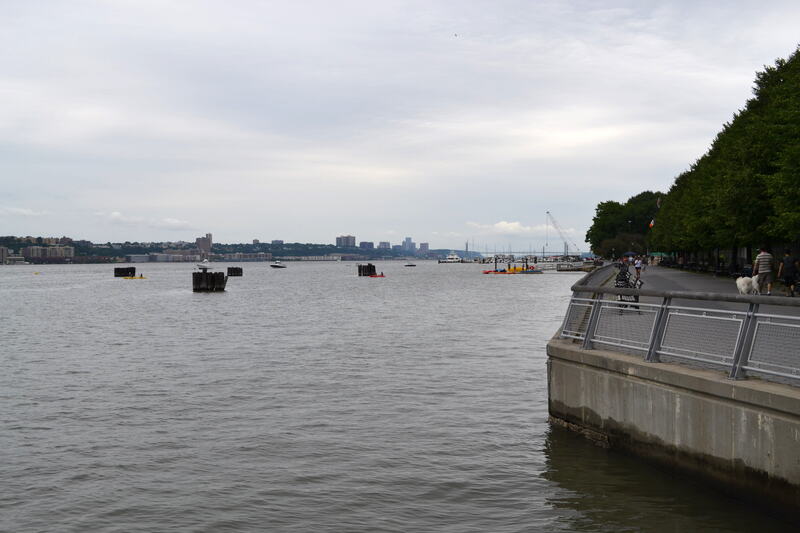 And on the weekends, there’s free kayaking in the river offered right at the pier! 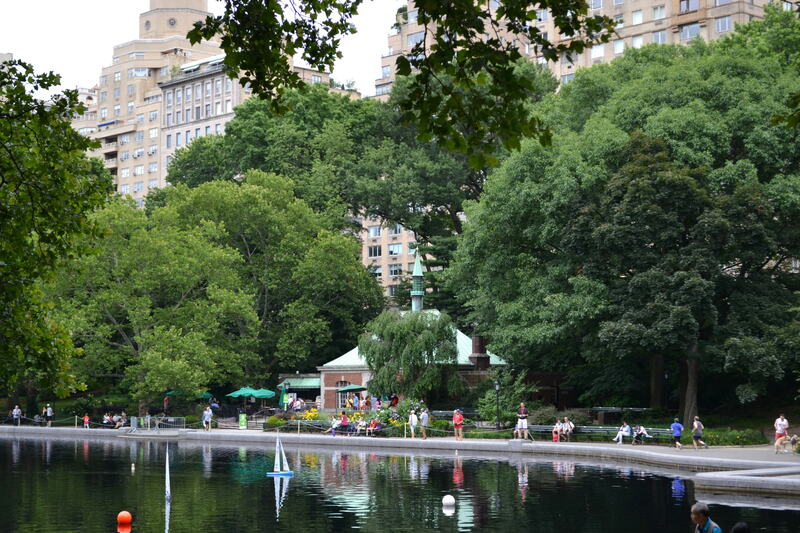 Though I’m scared of literally everything, so I can’t recommend it personally ;p.
Finally, we adore the Central Park Conservatory Water. 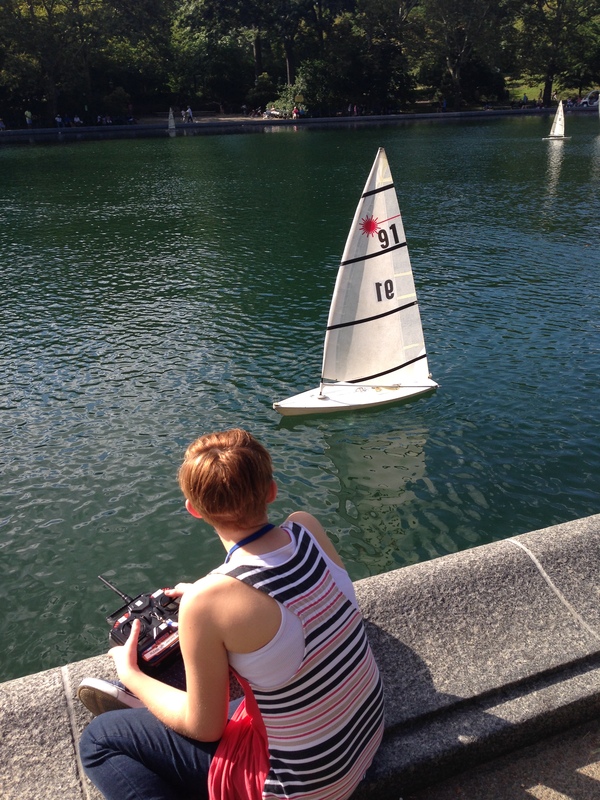 You may have seen it in movies – it’s the location with the small sail boats. The little cafe (which apparently is transitioning into a Le Pain) next to the pond offers up a few local beers, mixers, and some cheap wine along with various food items. Jeff and I love sitting here on windy days to watch the boats and to spot French Bulldogs (we play “Slug Frenchie” instead of “Slug Bug”). Then we sadly amble home and start working all over again. 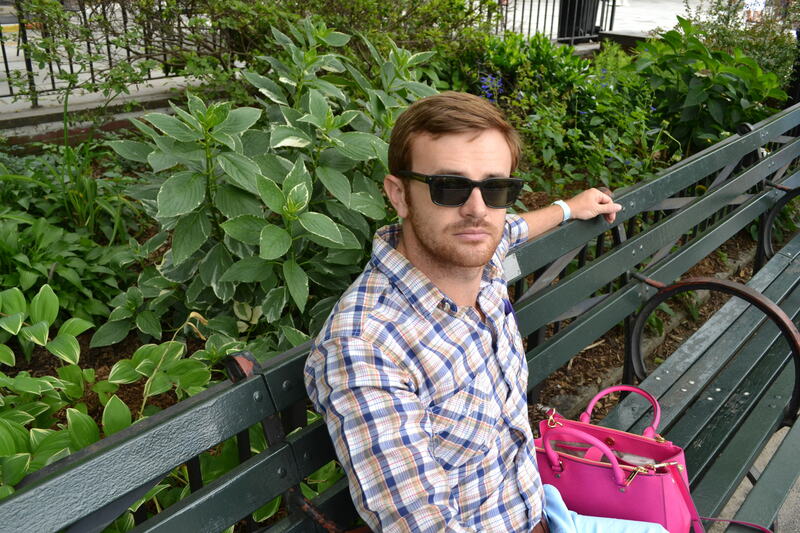 Dr. Jeff Goldsmith, Biostatistician and purse protector ;p.
This entry was posted in new york city, NYC and tagged being happy, new york city, NYC by Celia. Bookmark the permalink. Thank you for letting me share in a bit of New York. Great city. Beautiful pictures of beautiful places. If I ever get to visit NYC, I’ll have to read all your blogs over again, so I’ll know about all these neat places! Good write-up. I certainly love this site. Thanks!